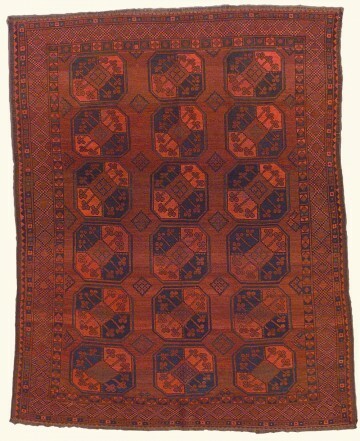 A classic antique tribal rug from the Ersari people of Uzbekistan. With its abstract repeating geometric pattern, this rug could easily find a place in a contemporary household. 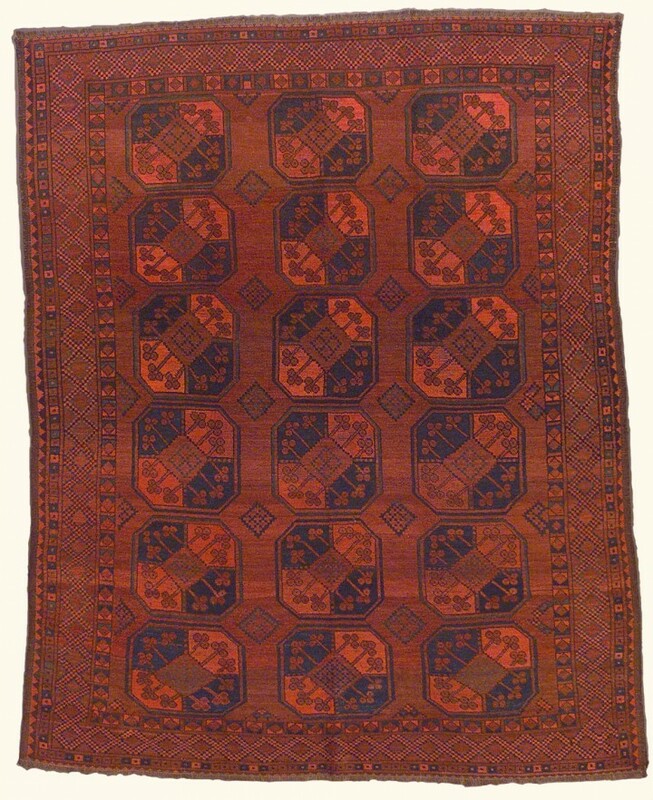 In their designs, the Ersari sometimes used Filpa – an octagon or elephant’s foot pattern, and Gul – an angular medallion pattern. Ersari rugs are made using only hand-carded, hand-spun and vegetable dyed wool free of chemical washes, and trimmed with goat hair fringe.